I have been working on this post for such a long time. You all know that I am an ingredients nerd when it comes to beauty products, but I am not infallible by any means. I didn't go to cosmetology school and memorize every bad ingredient commonly found in hair and skin care. But I do read product labels and I do know ingredients, and that has all come with time and practice. I still trip up though. I recently posted a video first impressions review of the Flower Beauty line, and I even looked at the ingredients and said they impressed me a little bit, little did I know (as I explain in my post Why I Don't Offer First Impressions - I learned my lesson) there were several pore-clogging ingredients lurking in there - just not ones I knew. But now I DO know them. And I learned this ingredient's name from this experience. So what is this post about really? 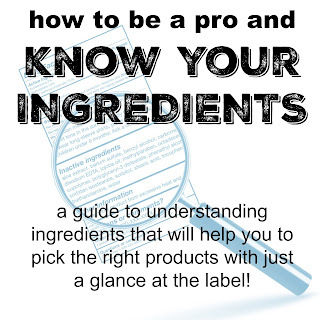 I am going to try to give you the tools to find the best quality products and to understand ingredients better. You will find that when you look up product's ingredients lists, that the same few ingredients stand out over and over again as bad choices. You will eventually familiarize yourself with the names of bad ingredients over time, and eventually you will just be able to look at a label. Most companies have ingredients listed on their websites. So let's say you are picking up a primer at Ulta. Well Ulta.com has every single product's ingredients listed on their site. This is also the case with Sephora.com as well as many retailers. 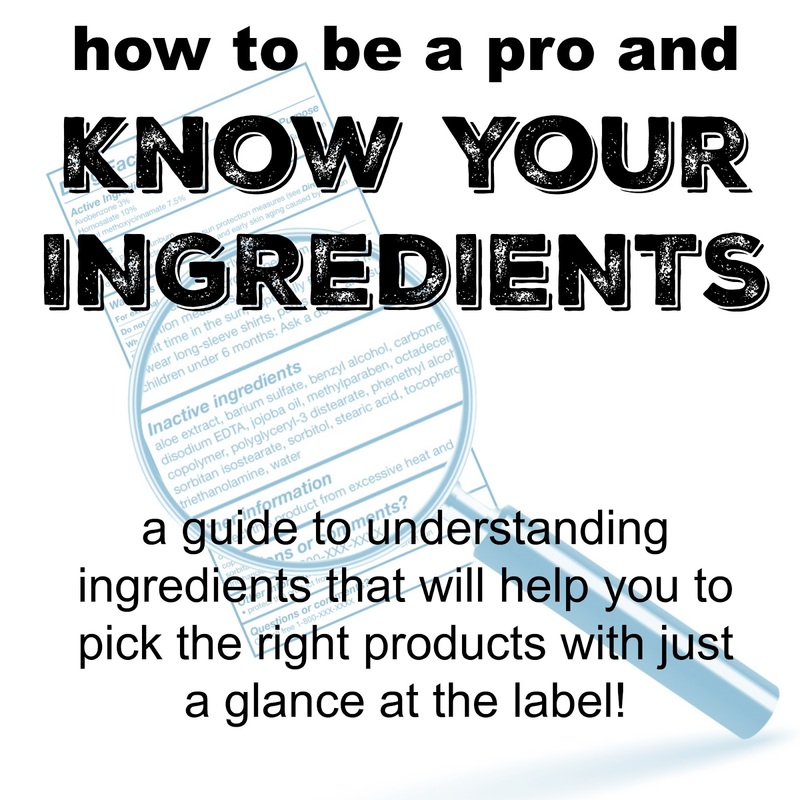 Check your retailer's website or app to find a full list of the ingredients you are looking into. Of course you can also look at the back of the box, but having a copy and paste-able list is super nice to use for my favorite tool, #3. 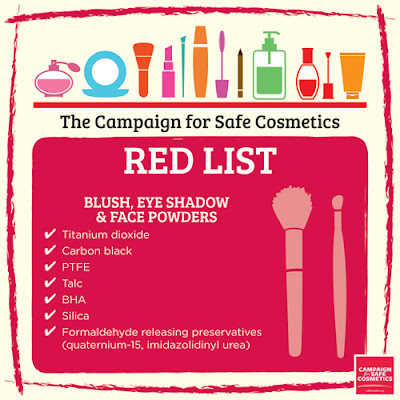 Campaign for Safe Cosmetics created a "red list". I have it saved on my phone and I used to look over it before buying beauty products. This list is full of common ingredients that are known to be bad for your skin and body that you should always avoid. 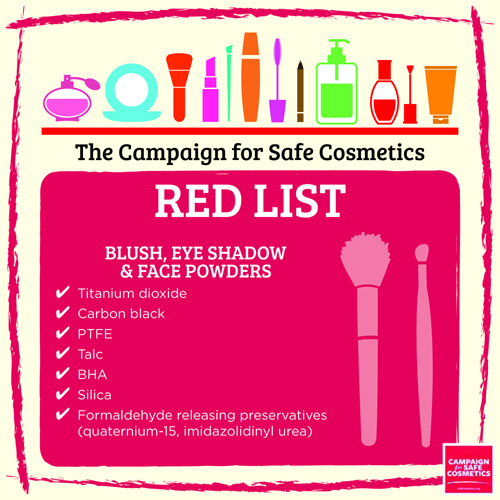 Here are the lists for cosmetics, but you can click here to see all 7 lists that they provide. You can also visit their site to learn more about each ingredient and why it's not good for your body. NEW INFORMATION - Acne Mantra in no longer a supported site. 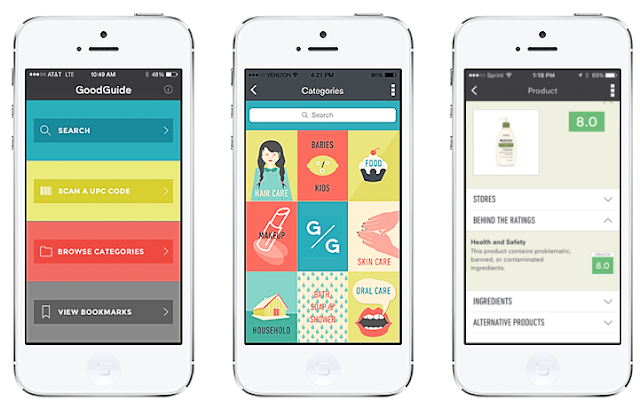 I now use Skin Carisma's Ingredient Analyzer or the Skin Salvation Comedogenic Vetting Process Tool in order to find out exactly what ingredients in my skin care could cause me issues. The Skin Salvation tool just pulls up ingredients in your copied and pasted list that could be problematic, it tells you how bad they are and a short overview of why, and you can click "show more" for more information. The Skin Carisma analyzer gives more information. It talks about how bad it would be for different skin types and why. It goes over quick product notes and points out highlights (is it sulfate free, paraben free, etc.) as well as if it has any anti aging ingredients and more. I use Skin Carisma more than Skin Salvation, but if you prefer something simpler then skin salvation is the way to go. This app is brilliant, and the more people use it, the more amazing it will be. The think dirty app is an amazing tool. It is available for those using both android and apple devices. The think dirty app allows you to scan product barcodes and it will pop up with the item and the over all rating for that item. Click on it and you will get a breakdown of each ingredient and it's individual rating. Click on the ingredient and you will see it's other names, what it's used for, health concerns related to it and more! It is SO MUCH information in one place! 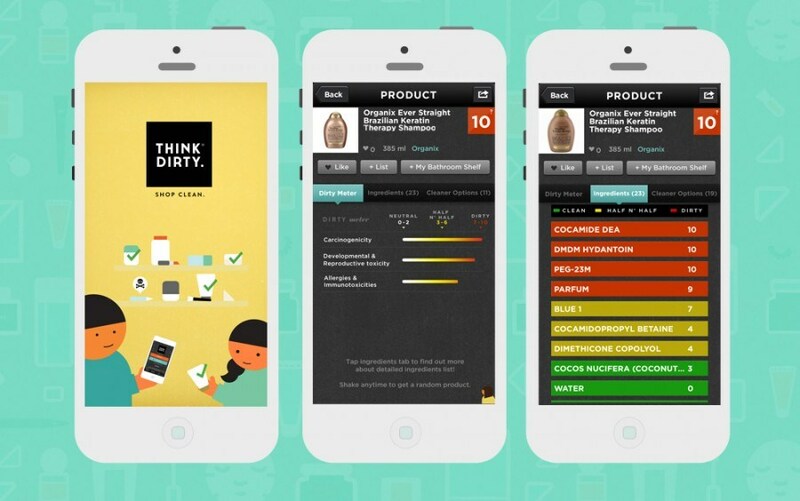 However the Think Dirty app doesn't always have the products we want (but they do have THOUSANDS of products listed). If a product you want is missing it allows you to put in the name of the product and to take a picture of the front and back of it (including the ingredients list) and they will add it within 30 days. So the more people that use it, the more info we will have. But be real about Think Dirty's motives. WHY is that ingredient considered bad? They focus mostly on toxic ingredients and things that are harmful to the environment as well as to your overall health. They may clear pore-clogging ingredients that are safe for the bees and non toxic. It's important to read up on the ingredients as you get more into this. This app works pretty much the exact same as the Think Dirty App, except you can't submit your own stuff (as far as I am aware). There are also a few things about this app that I don't love - for example, if you scan a bar code and it doesn't have that item in their database, it freezes the app. But you can simple close it out and use it again otherwise. If it does have the item it pulls it up very quickly, which is nice. You get a good break down but the initial rating can be deceiving, so you have to look further. For example, I looked up the Not Your Mother's Clean Freak Dry Shampoo which had an initial rating of 0 (which is super bad and in red). When I looked at the break down though it had an ingredients hazard rating of 8 (which is pretty good and in green), and the red was because of independent performance reviews and lack of information on a few ingredients. So you do have to dig a little deeper with this guide. I check everything out on Think Dirty first, and if they don't have it I check Good Guide. On Think Dirty the same dry shampoo was found, with a negative red score, but when I clicked on the product list the only negative ingredients were added fragrances, which many people don't like, but aren't known to be toxic and I don't mind them. However if you are sensitive to artificial fragrances this would be great information to have. But on Think Dirty the info is a little more accessible. Before these lovely two apps became known to me, I used several ingredients sites to basically look up any ingredients I didn't know on products. Typically the most important ingredients are the first five. The rule of thumb is that the first 5 ingredients make up 75% of the product. Even if I had only looked up the first five ingredients in the Flower Beauty foundation, I would have learned about the Ethylhexyl Palmitate that broke me out, as it is the second ingredient listed! There are a lot of ingredients guides out there, but it's best to research on at least two sites. The thing about Ethylhexyl Palmitate is that it is not a toxic ingredient, it's just highly comedogenic. 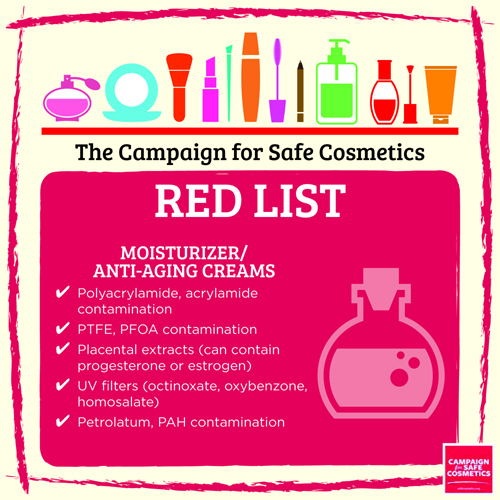 Because it isn't considered toxic it's given a pass by a lot of sites, so that's why it's so important to start by checking AcneMantra.com. Here are a list of other sites I like to research ingredients. This all seems like a lot - I know. But if you are vigilant in the beginning by looking into all these things thoroughly you will begin to remember words, phrases and ingredients so well and eventually you will memorize certain ones. It is easier than it sounds, give it a try next time you are in the beauty isle. Thanks for this! I wish I had known all this sooner! !